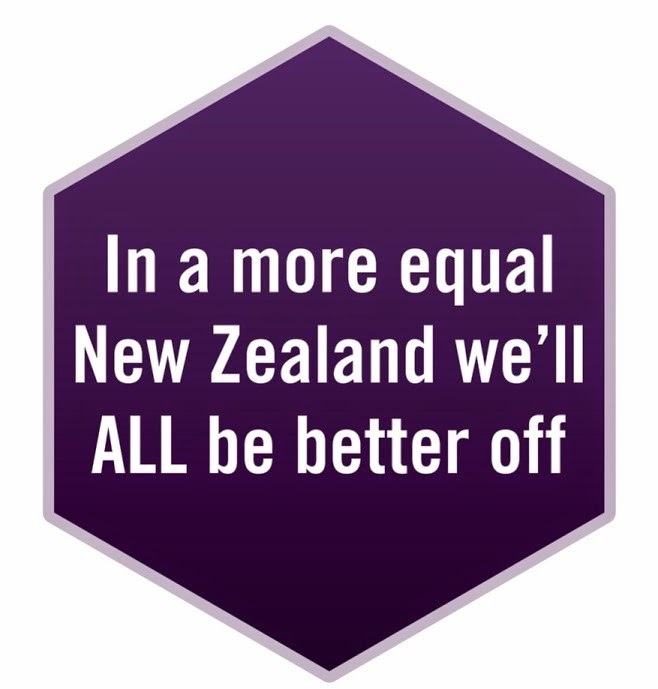 According to a recent report from OXFAM “Wealth: having it all and wanting more” over 100,000 New Zealanders are in the World top 1% of seriously wealthy people and that ‘on current trends’ these 1% ers will own more than 50% of the world’s wealth by 2016. The accumulation of ‘wealth’ isn’t a new human phenomenon by any stretch but what is new is the magnitude of this accumulation that extends far beyond national boundaries, and the legitimacy and status accorded to this group, particularly it seems by many governments around the world. Debate about the report’s methodology and how ‘wealth’ is measured aside, there are now a myriad of reports telling us of the dangers of public policy supporting this level of inequity. History is littered with great human civilisations that come and go. Extreme inequality is not inevitable; it is human made and reflects the worst not the best of humanity. It might be time to rethink who and what we value. IMF redistribution, Inequality and Growth. Feb 2014. A recent article by Catriona MacLennan asks “Why are we burdening some of the poorest mothers in the country with lifetime debts while writing off the tax debts of some of our richest citizens?”. We often hear about sole parents (mostly women) ‘ripping off the system’ when they enter into ‘a relationship’. We don’t hear about the complexities of these ‘relationships’. As Cartiona McLennan points out “relationships may develop over time; a new partner might contribute only limited financial support to the family; or domestic violence mean the women is actually seeking to escape from the relationship”. The legal instrument that is jailing sole women is too vague around these complexities, and it is their children who are ultimately punished. For more discussion on this issue, see Catriona MacLennan and Susan St John’s Paper: The Complexities of ‘relationship’ in the welfare system and the consequences for children’. What Does 2015 Hold for Children Living in Deprived Homes Across New Zealand? Deborah Morris-Travers, National Advocacy Manager at Unicef New Zealand, wants to ensure ‘every kiwi kid has the chance to not only to survive, but to thrive”. Read Unicef NZ’s wish list for 2015. New figures released from Child Youth and Family indicate a small decline in New Zealand’s reports of child abuse the first time in a decade. This decline largely reflects a fall in reports of emotional abuse. This news was well received by the Children’s Commissioner Russell Wills who attributed this change to the government’s new focus on cross-agency collaboration, the inclusion of NGOs and changes to the way children who witness domestic violence are assessed and supported. Most would agree however there is still a long way to go and much more improvement needed before New Zealand can hold its head high. 3178 children were reported as physically abused (down from 3181 since June 2013). Child Abuse: What Role does Poverty Play. Child Abuse: An Analysis of Child Youth and Family Data. Child Poverty Action Group, 2013. It’s nice when an easy solution is found to a complex issue; it saves time and resources in the short term. Amendments to the Resource Management Act (RMA) have been hailed the panacea of New Zealand’s entrenched housing problem – shortage of affordable housing. It seems a Treasury-commissioned report argues the RMA adds an extra $30,000 to the cost of an apartment, and $15,000 to the cost of a house. Given the average value in Auckland ($738,083), Christchurch (463,646) and Wellington ($449,913), it’s a bit of a stretch to think 30,000 or 15,000 less will help families on low incomes afford their own home. A recent international survey The Demographia International Housing Affordability Survey has found Auckland is the least affordable city in the world to buy a home. Wellington, Auckland and Christchurch as well as Tauranga and the Western Bay of Plenty were classed as "severely unaffordable". “ANZ senior economist Mark Smith says 10,000 new homes will have to be built each year for the next 20 to 30 years to keep up with the country's housing demand”. Meanwhile, Housing New Zealand is set to shed 71 houses in Northland over the next three years despite more than 170 families being on a waiting list for state or other social housing. The closing date for all feedback is 5.00 pm, Friday 27 February 2015. Public submissions are now being invited on the Policing (Cost Recovery) Amendment Bill. The Bill proposes amendments to the Policing Act 2008 to enable cost recovery for certain police services where there is a degree of private benefit to the users of the service. The Bill will potentially impact on NZCCSS member agencies when new vetting and screening requirements are rolled introduced. The closing date for submissions is Thursday, 5 February 2015. Treasury request for Information: How can government improve results for our most vulnerable (at-risk) children and their families? Sir Edmund argues that the gross inequality in income and wealth which besets New Zealand is the outcome of the neo-liberal economic measures of the mid-1980s and early 1990s and the culture of liberal individualism and unfettered free market ideology which it spawned. A breakdown in social cohesion and a sense of community is the result.